Clarity Centre QLD, Kinesiology, QHHT, Hypnotherapy, Regression, Sound Therapy, Quantum Hypnotherapy Healing Technique, Quantum Kinesiology, Biofield Sound Therapy Clarity Centre QLD, Sonia Wright, Pellowah, Hypnotherapy, Spiritual Hypnotherapy, Reiki, Psychotherapist, Psychotherapy, Counselling, Distance Energy Work, Tarot Readings, Psychic Readings, Psychic Brisbane, EFT Practitioner. Member of AHA (Australian Hypnotherapy Association). Pellowah, Pellowah Attuner, Pellowah workshops. 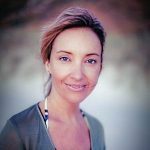 Sonia Wright | Founder of CLARITY Centre QLD. Hypnotherapist, Psychotherapist, NLP & EFT Practitioner since 2004. Member of AHA (Australian Hypnotherapy Association). Delores Cannon QHHT (Quantum Healing Hypnosis Technique). Kinesiology, Pellowah Healer & Trainer. Distance Energy Technique, Reiki & Intuitive Therapy since 1995. This mix is effective, accurate & bypasses limitations, perspectives, resistance & patterns. Clients walk out changed from a deep perspective. Undeniable life changes then work subtly into their lives bringing positive change that is ongoing. Leaving you with a feeling of inner strength & well-being that lasts. In fact, it gets stronger as time goes by. It seems like such a synchronistic time when a client arrives at my studio. I enjoy watching the parts & pieces come together to create the perfect blend for those who find me. We can all learn these techniques & I also enjoy helping all become self empowered. My goal has always been to feel inspiration, joy & the freedom to chase dreams. I’ve played many roles & studied many philosophies. I’ve been a daughter, sister, wife, mother. A student, teacher, entrepreneur, speaker & motivator. Worked as a ballerina, choreographer, TV presenter, graphic designer, wedding photographer, intuitive, counsellor, psychotherapist, hypnotherapist, kinesiologist, energy worker & on it goes. I now combine all that worked powerfully & give it to others through energy & frequency work. I continue to observe, meditate, listen, learn, create, grow, arrange, simplify & share. This helps my clients to access their deep self awareness & understanding. Awareness is a lasting cure.